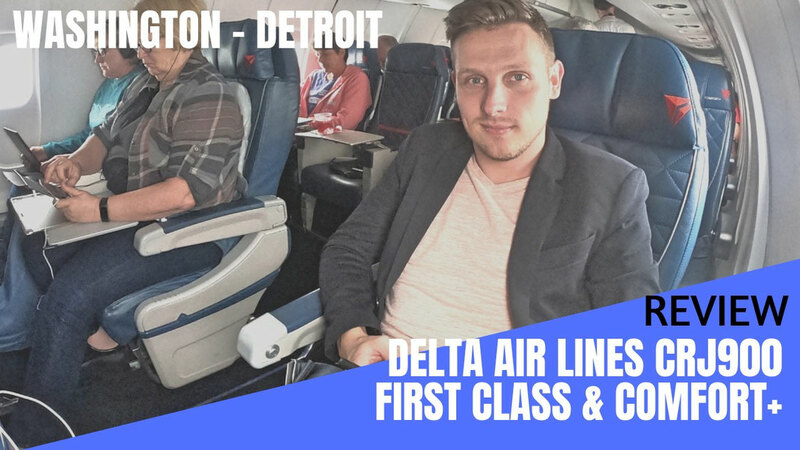 If you don't want to read the review (I know, too many words) you can just lean back and enjoy my video report which gives you a detailed inside of what it's like to travel on Delta Air Lines in First Class and Comfort+ on the CRJ900 & 700. 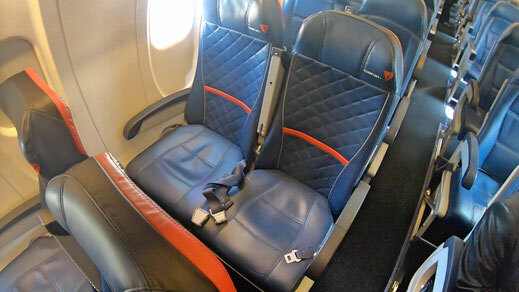 Delta Connections CRJ 700 comes in a 1-2 configuration with 9 seats in total. I picked seat 3A for maximum privacy. Those seats are ideal if you travel by yourself. Each seat features a power outlet, USB-slot, a foldable table in your armrest and streamed entertainment to your personal device. 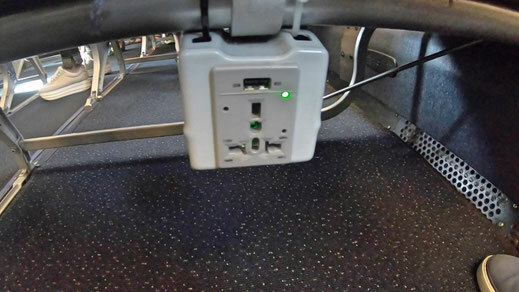 Also onboard WiFi is available for a fee. 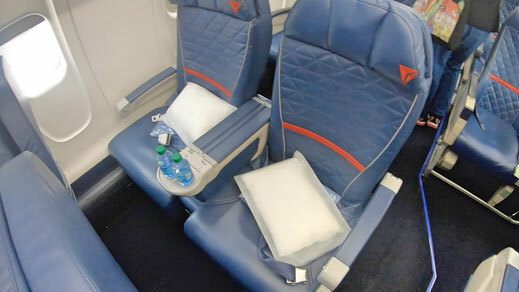 Find your best Seat on the CRJ here. 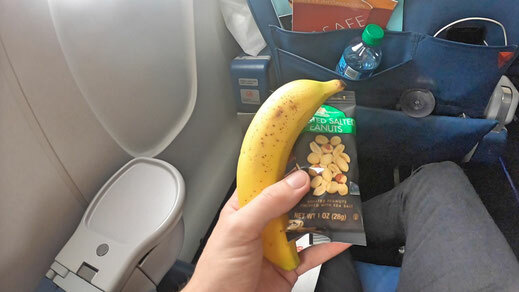 In terms of food, Delta offers snacks such as pretzels, bananas, peanuts, chocolate bars and many more sweats to it's First Class passengers. 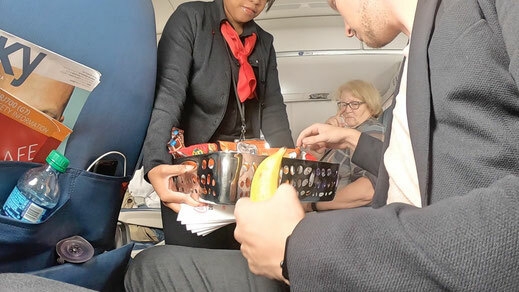 There is also a free flow of alcoholic beverages included in your fare. On top of that you'll enjoy priority boarding and lounge access at selected airports. 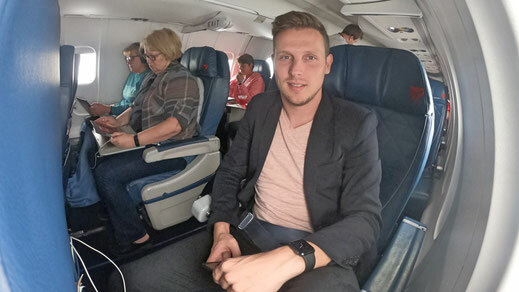 From Minneapolis to Washington I tried Delta's Comfort+ category on the CRJ900 with 20 seats available in this category. Which was in fact a very decent and comfortable class to travel in. 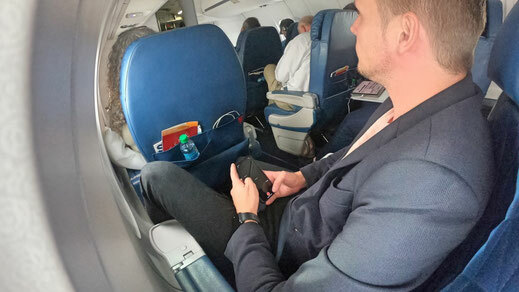 The seat comes with improved legroom, a power outlet and USB-slot as well as with plenty of snacks, alcoholic beverages and Starbucks coffee. You'll also enjoy priority boarding. Sometimes you have to gate-check your luggage, don't worry about it though, that will be free of charge. 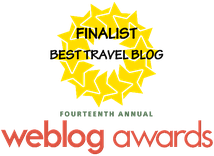 If you travel with a regular backpack, the way I did, you should be ok. Please be reminded that your Comfort+ booking doesn't include any checked bags. 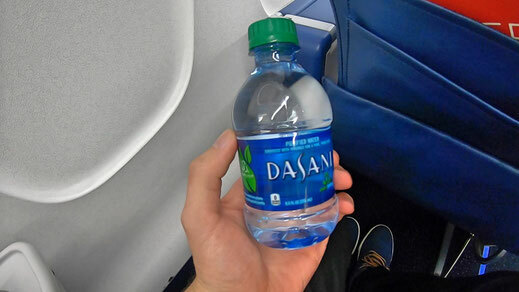 The First Class product wasn't anything outstanding and the service was very similar to what you get in Comfort+. However, I really enjoyed the seat and the privacy it offers. 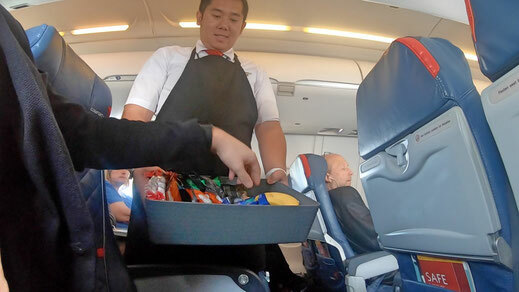 The upgraded Economy Class experience, was very satisfying. 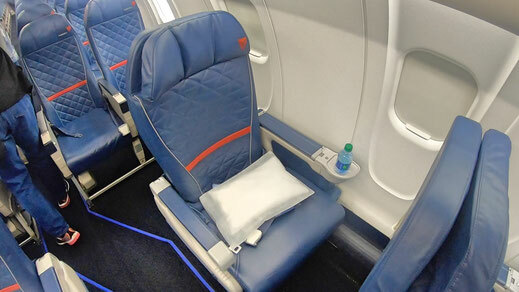 Great legroom, good service, decent coffee combined with a very comfortable seat. Overall the CRJ Jet's of Delta provide a good experience and I can't wait for the upgraded version which joins the fleet by the end of the year.